The latest course from Get Messy was released this week! 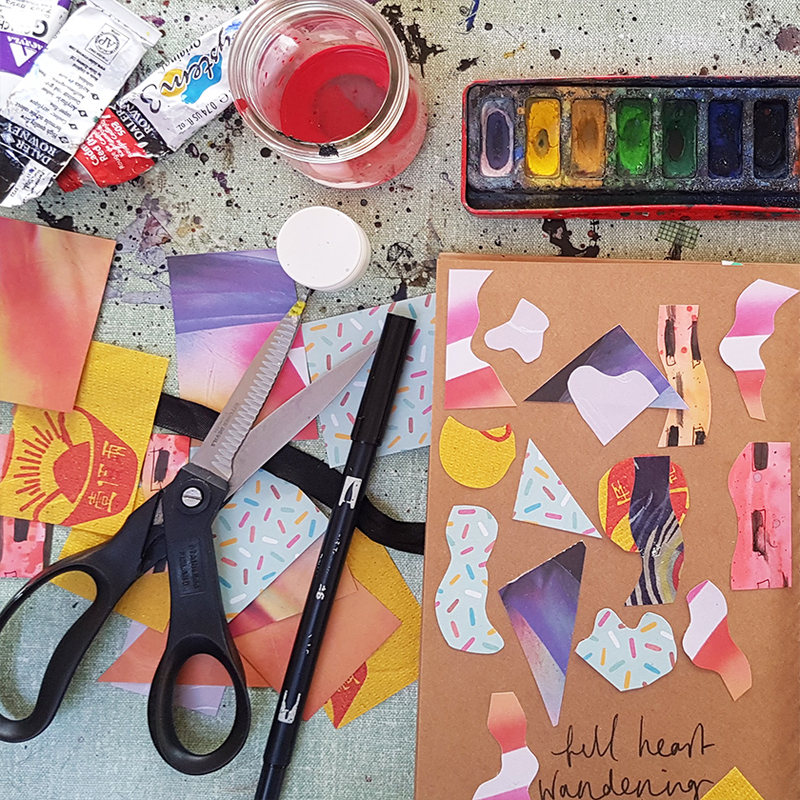 Heart Journal is created by the wonderful Essie, a perfect class for anyone who like me, finds it hard to delve into that emotional side of art journalling. I have always found the "art" part so much easier! 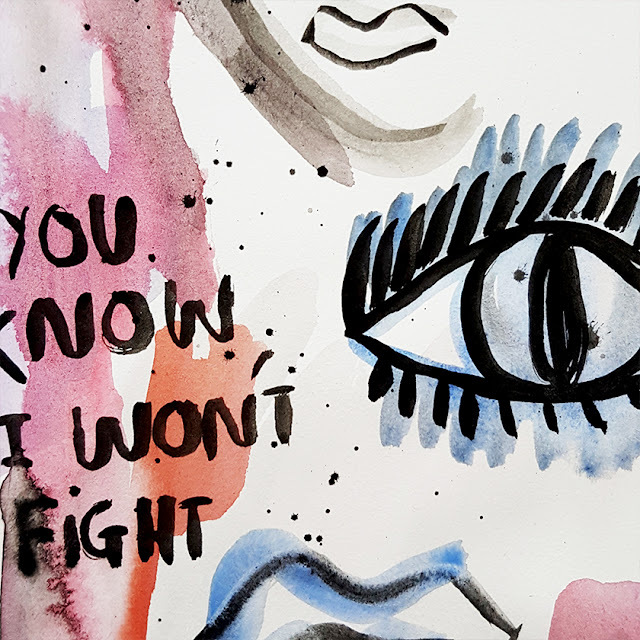 With the guidance of Essie and artists who have inspired her, you will feel more comfortable tapping into your inner self as the course progresses. 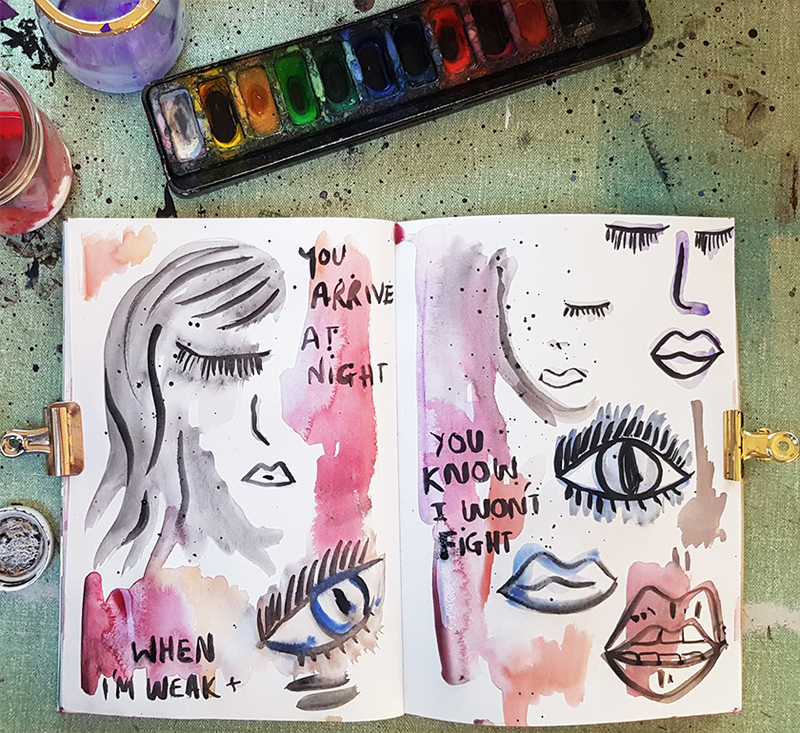 For me, I loved the sound of Essie's voice and found the videos quite meditative to just listen to, whilst making my pages alongside Essie. 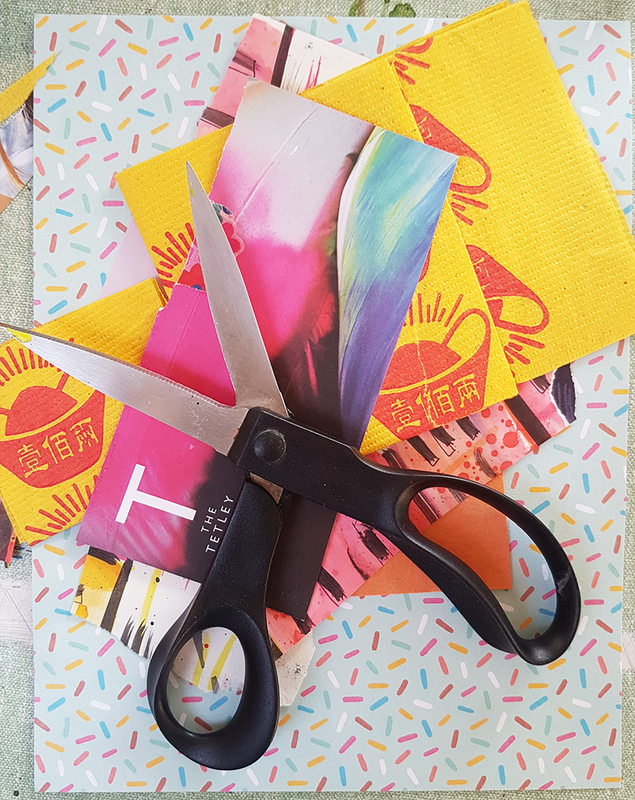 Tools of the page - prepping for some Matisse style collage! Essie describes joy as an outwards emotion and these shapes capture that extroverted essence of feeling happiness and joy. 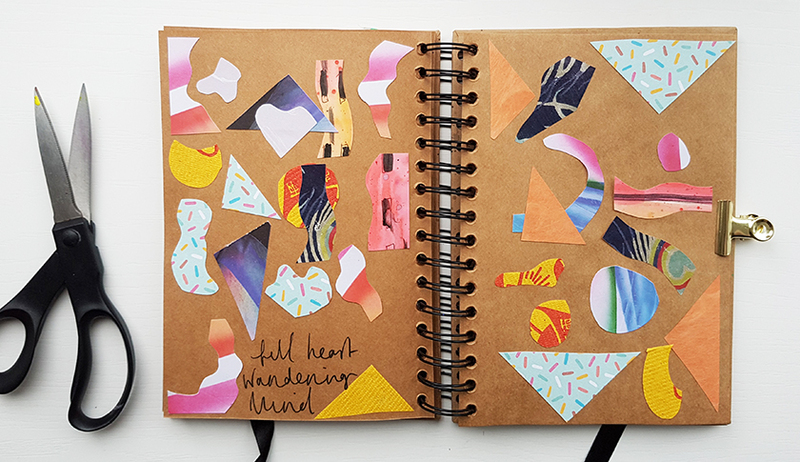 I loved creating this collage as well as the end result so much, I know I'll be dipping back into this style in my regular art journalling practise. Drawing self portraits is not an easy thing for me and I was pretty intimidated when watching Essie do hers! 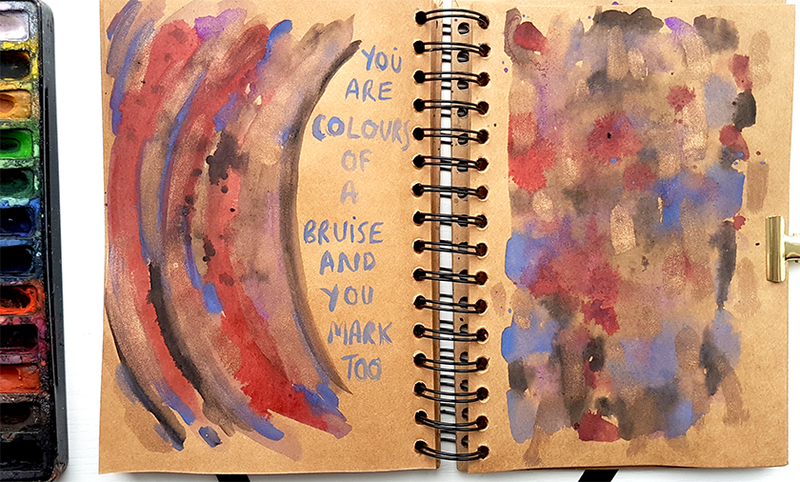 After a while of just putting colour and water on the page, I found my flow and what worked for me. 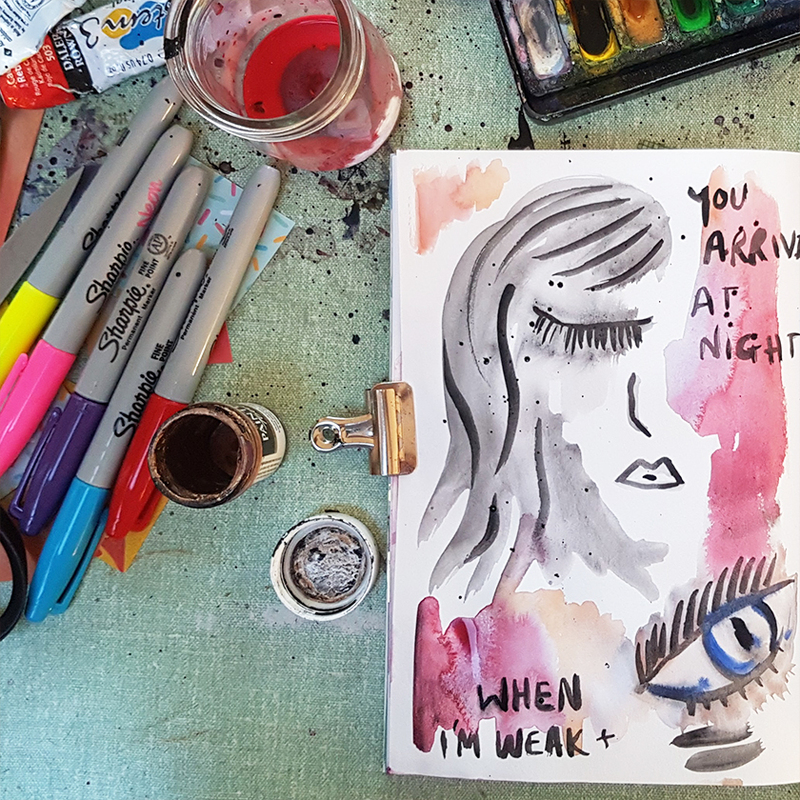 Even after my 100 day project, drawing still scares me so I think I need to keep up the regular habit to continue to grow in confidence. Essie described sadness as the opposite of joy, in that it is an inward emotion. I feel it differently though, and when I am sad or lost.. I feel like everyone can feel it from me.
" 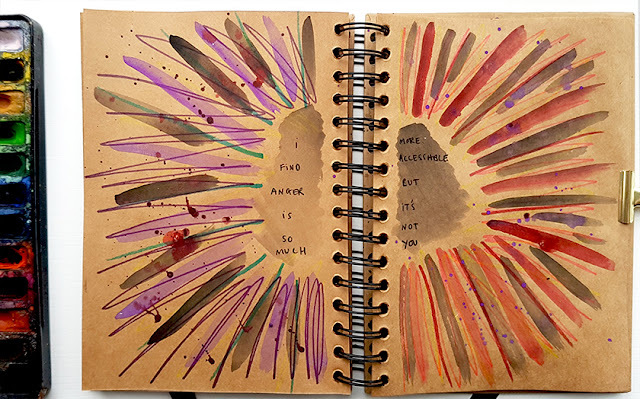 Get Messy Art Journal is an art journaling program/community. We are a group of like minded art journalers who have come together under this art form to learn, share, practice our skills and push past our creative limits with hopes to inspire. Our community values consistent creating, encouragement and support and trying new things. This is an affiliate link to Get Messy Art Journal and this post contains other affiliate links for the programme. This means that when you purchase a yearly membership or class using links in my post, I receive a small percentage. We would love to have you join us as a member of Get Messy Art Journal so Join Get Messy now! " I love your self portrait page.